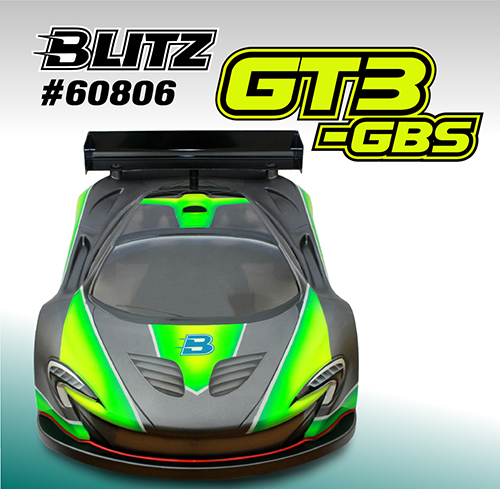 The new BLITZ GT3 is a stylish looking and high performance 1/8th GT racing bodyshell. 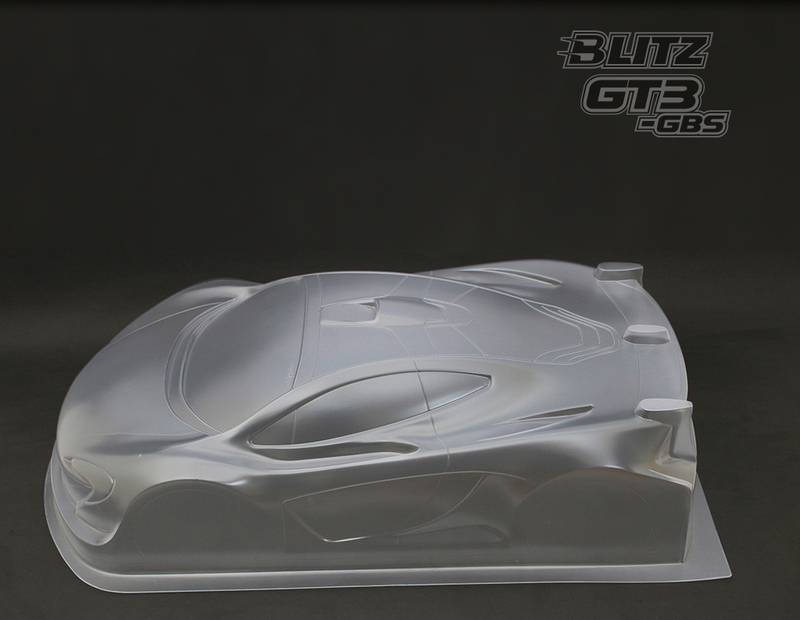 The new GT3 fits most 1/8th model in the market with short wheel base of 323mm~328mm and track width below 313mm. 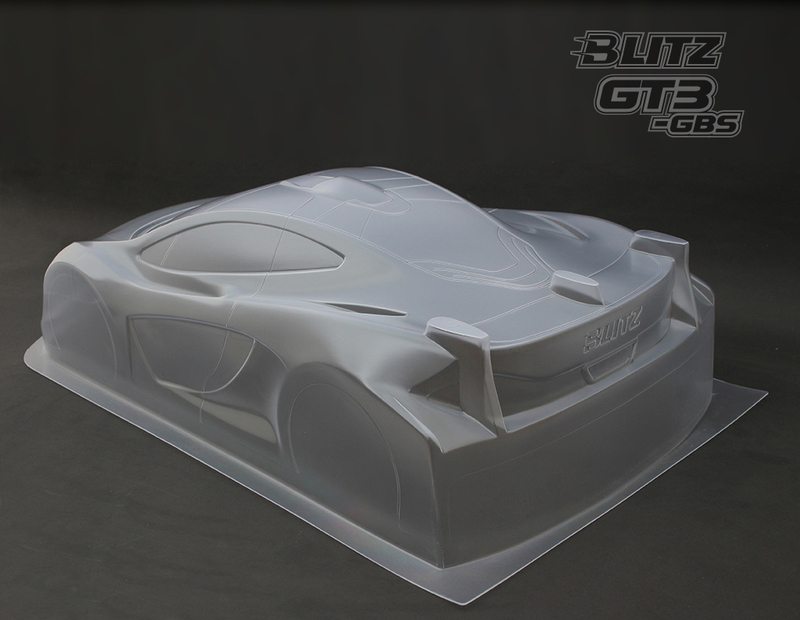 The GT3 body includes 1 set of separated rear wing and screw. 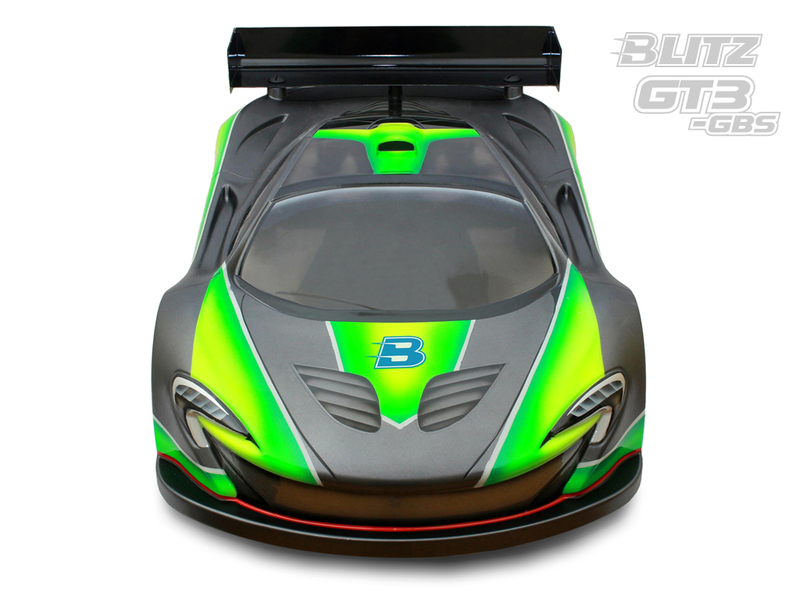 The strong separated wing provides very good down force and better handling combined with the GT3 Body. Light decal and window mask accessories all included. The standard version is made from 1.0mm high quality clear polycarbonate sheet and also available is the 0.8mm light version.